We know how much you love your pets and want them to feel at home when you are away. At Fondren 5 Star Pet Resort our Dog Boarding and Cat Boarding accommodations include luxurious suites to pamper your pet and make them feel like they are home. Convenient to Sugar Land and Southwest Houston. Are you looking for a fun place for your dog to play for the day? We offer a fun and convenient Dog Daycare program convenient to pet owners in Sugar Land and Missouri City where your dog can experience a fun day of playtime and socialization supervised by our trained and caring staff. Your dog will be the envy of the neighborhood after spending a relaxing visit at our Dog Grooming Spa at Fondren 5 Star Pet Resort. Our staff has the training and experience to work with all breeds and to provide each of our customers with a premium spa treatment. 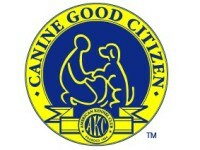 It is well known that Dog Training is a major factor that enhances the quality of life for both you and your pet. At Fondren 5 Star Pet Resort, our professional dog trainers use positive motivation to help your dog become a great companion. 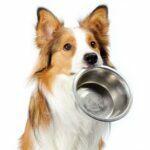 We are dedicated to providing the best nutrition for your pet and proudly offer Classic Fromm family pet food.In the rare event that your dog doesn’t care for a specific recipe, we’ll either swap out your recipe or give you a full cash refund. 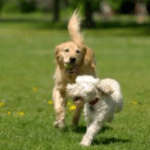 Our private two-acre dog park is designed so that your dog can experience the fun of off-leash play and exercise. You can schedule group play times or exclusive play times if your dog is uncomfortable with other dogs. Call for more information.